Colorado’s housing market is hotter than ever. Home prices are high, inventory is moving fast, and home appraisers are struggling to keep up with the demand. Because of this, when scheduling a home appraisal, the wait time between scheduling and the date of the actual appraisal is on average 4-5 weeks – and sometimes more. The cost of appraisals are also creeping up as the market stretches those in the profession thin. This is great news for for those invested in the housing market because it shows a positive uptick in Colorado’s economy. But it can cause problems as well, especially for those who are expecting the process to move fast. What does this mean for Reverse Mortgage? 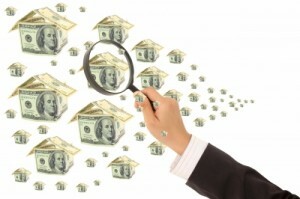 A critical part of the reverse mortgage process is the home appraisal. This is the case whether obtaining a traditional reverse mortgage or a Reverse Mortgage for Purchase. The appraised value of the home is one of the important factors that determines the amount available through the reverse mortgage loan (or in the case of a purchase loan, the amount available to purchase the home). With appraisals being a hot commodity in Colorado, if you’re considering a reverse mortgage, don’t drag your feet! Get your application in now so we can get your appraisal on the books and locked in! Other factors that play into the amount available through a reverse mortgage are the age of the borrower (or the youngest borrower in the case of a married couple) and current interest rates.